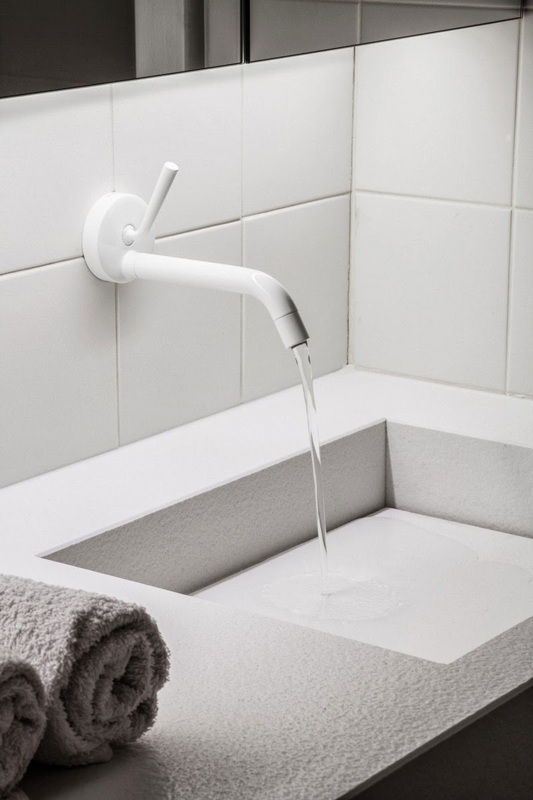 Belgian firm C.T. 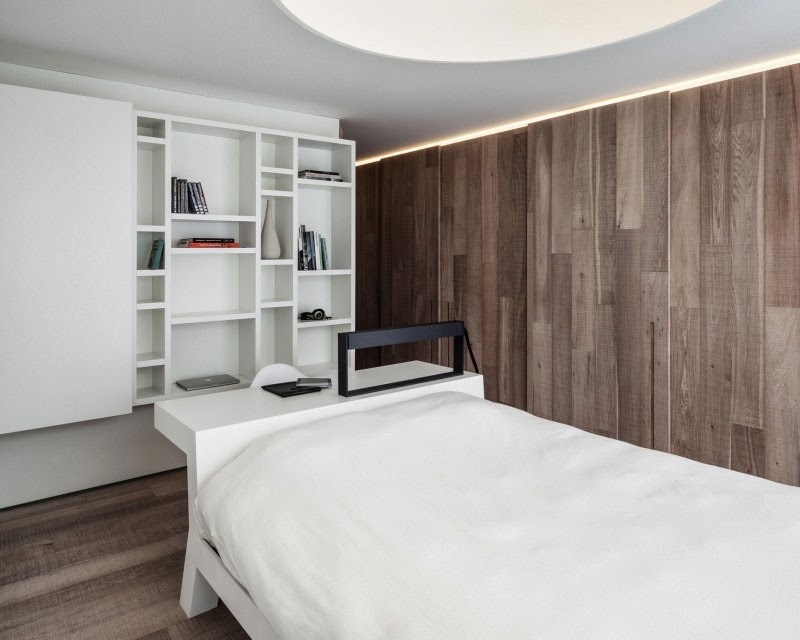 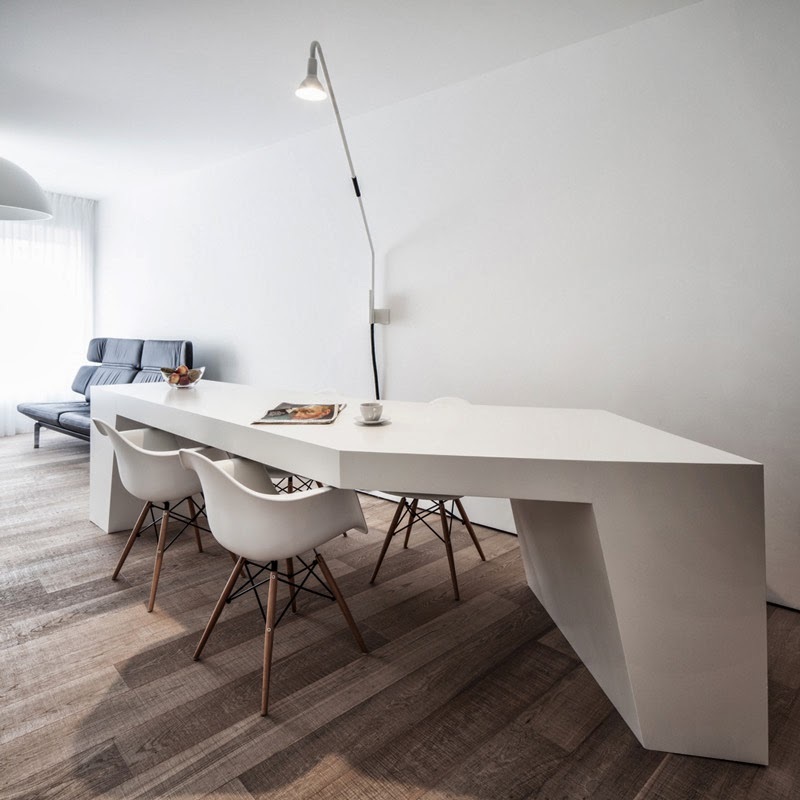 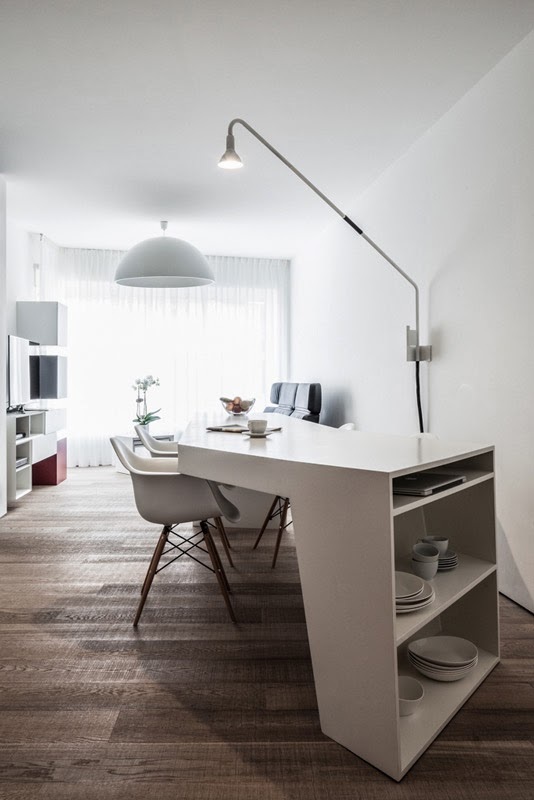 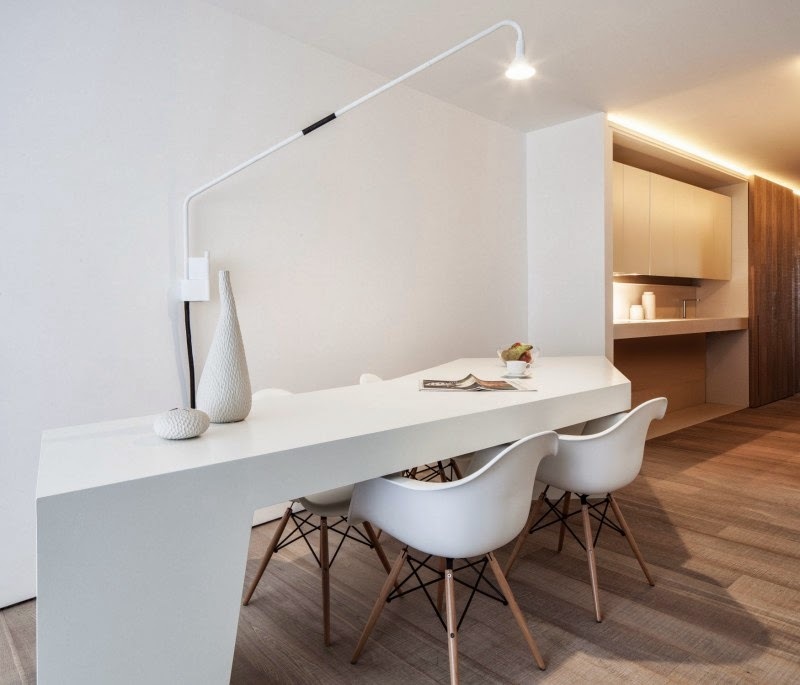 Architects designed this unique, minimalist loft in Bilzen, Belgium, for a client who uses a wheelchair. 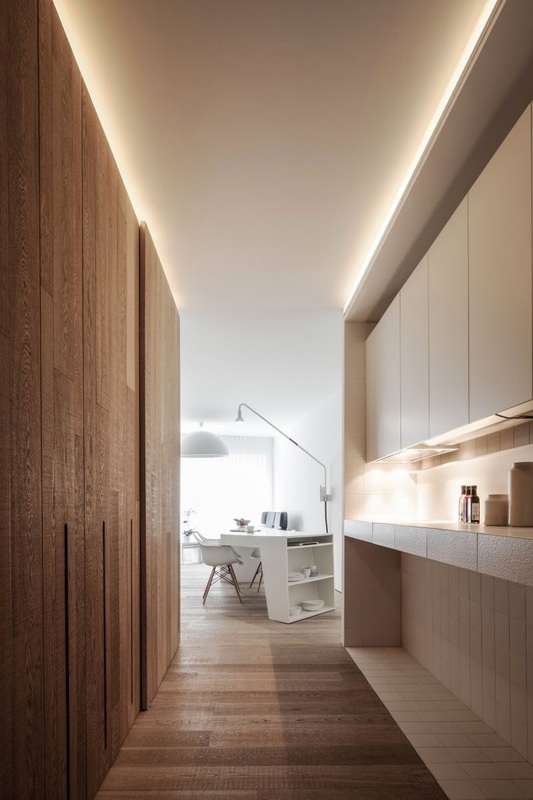 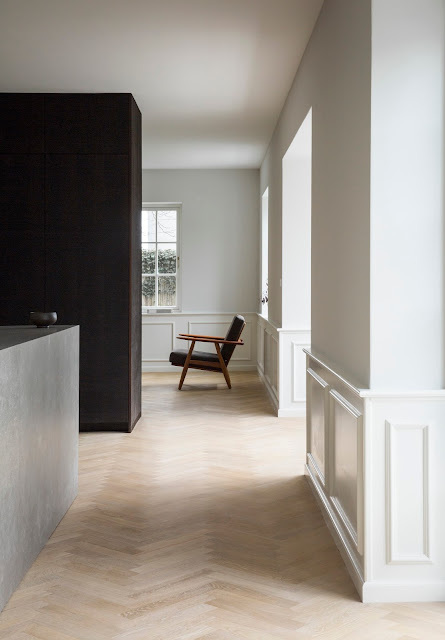 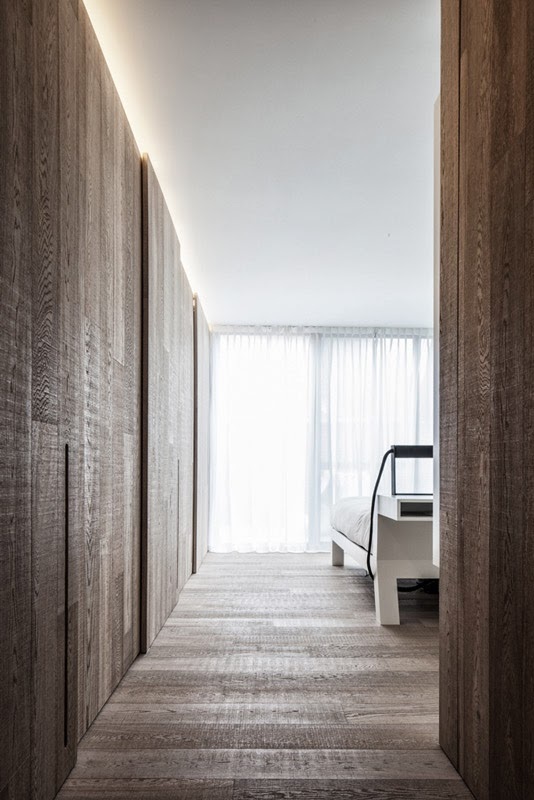 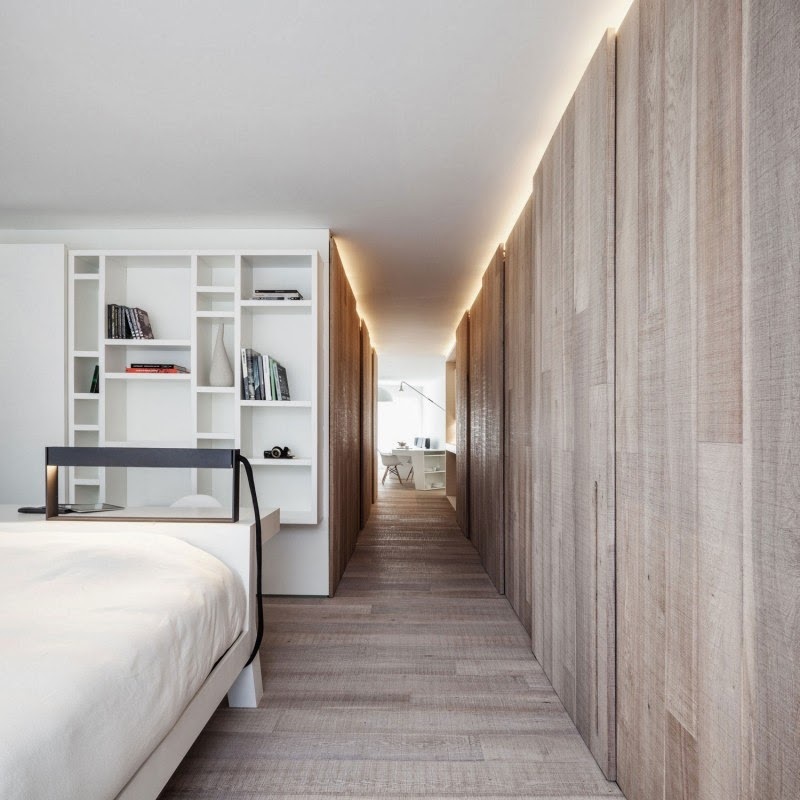 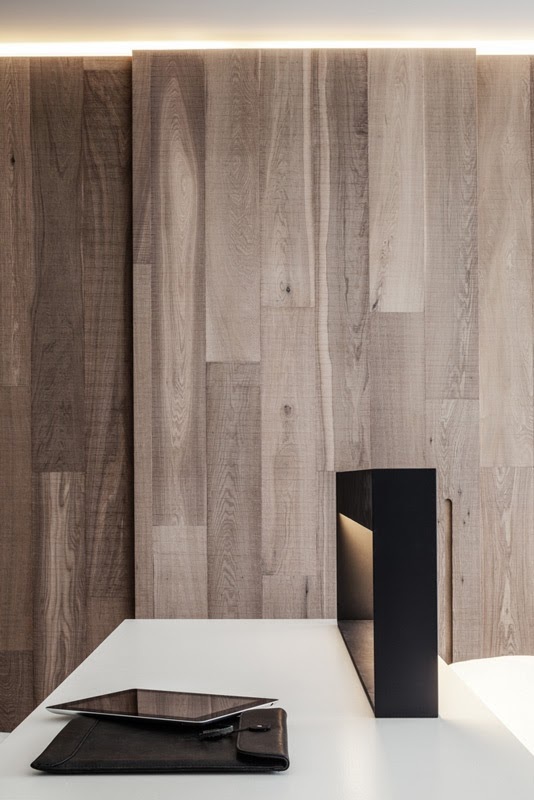 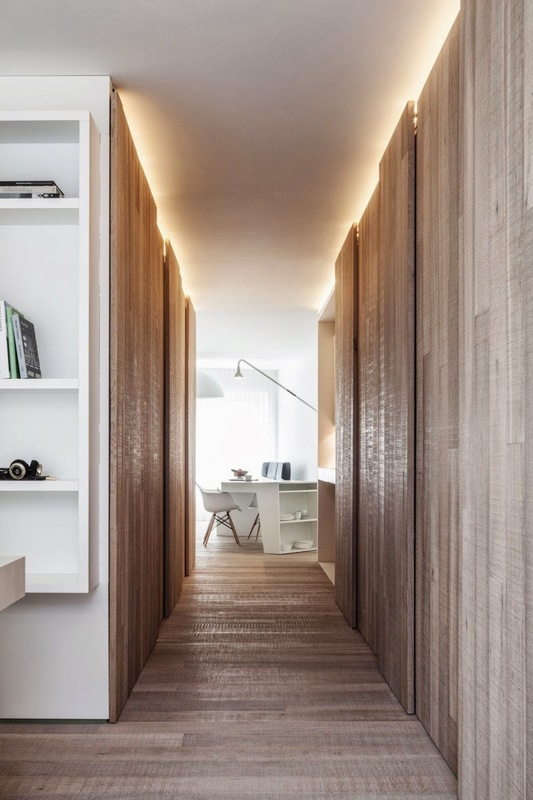 A restricted palette of smooth white surfaces and contrasting rough-sawn oak is established throughout the open layout of the apartment. 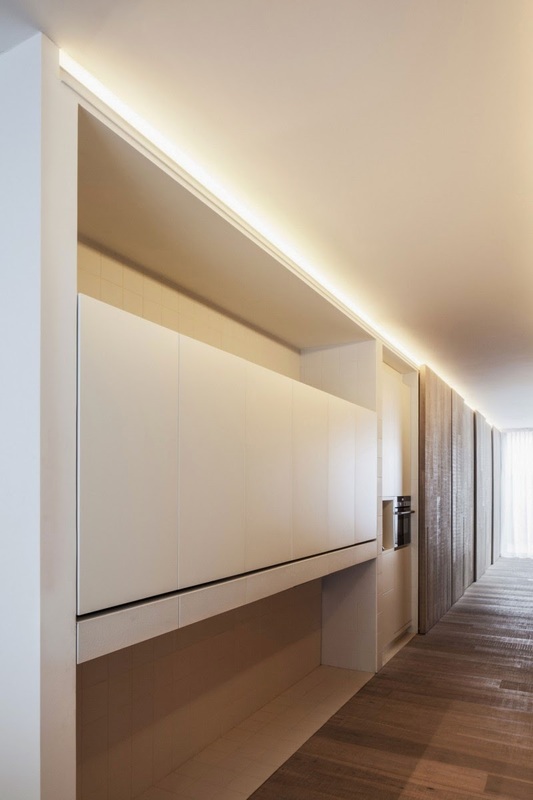 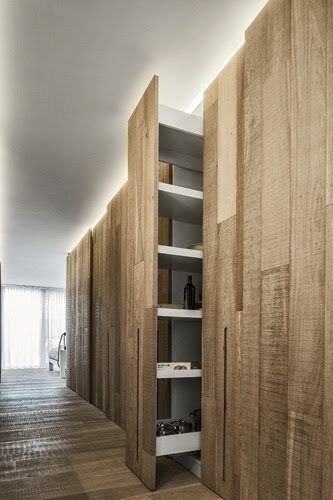 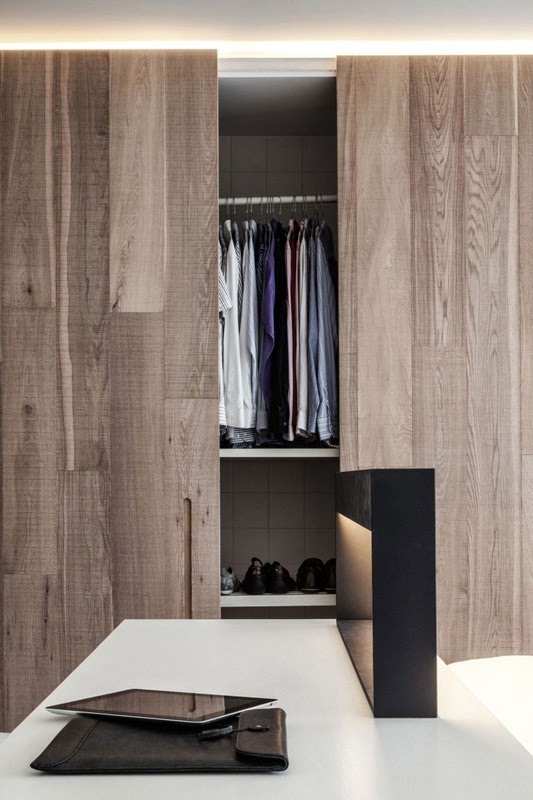 Unique configurations and bespoke furnishings are specially designed for the owner’s independence and accessibility, such as cabinets that can be electrically height-adjustable and sliding storage. 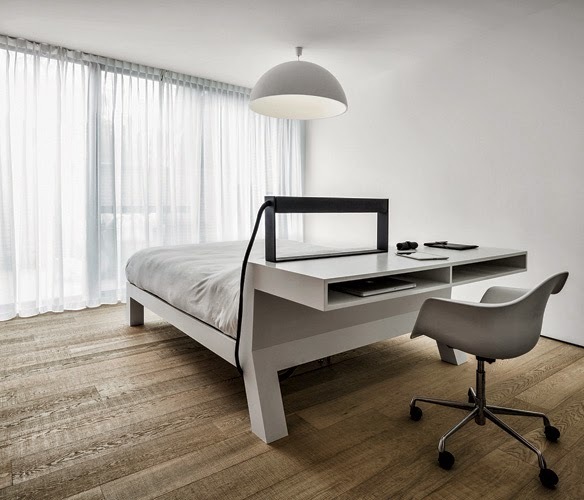 In the bedroom, a double-duty bed is also used as a desk at its head. 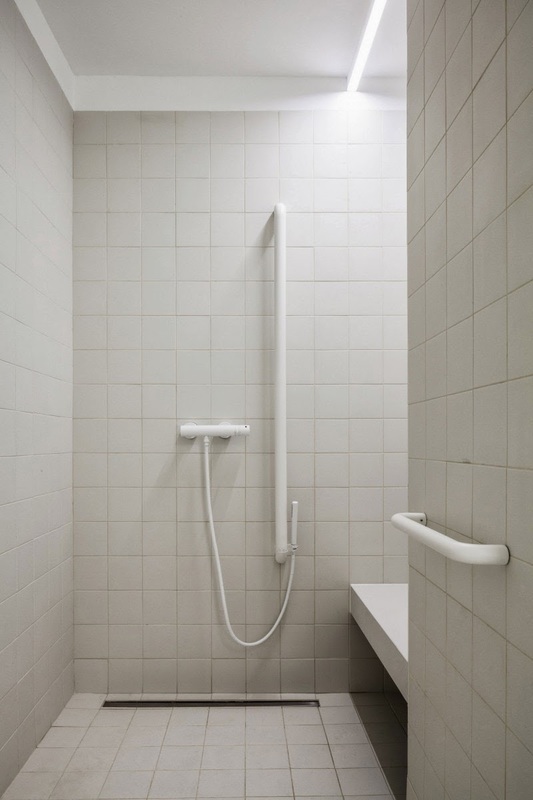 Our goal for the refurbishment of this ground floor apartment was to create a wheelchair friendly environment for one occupant. 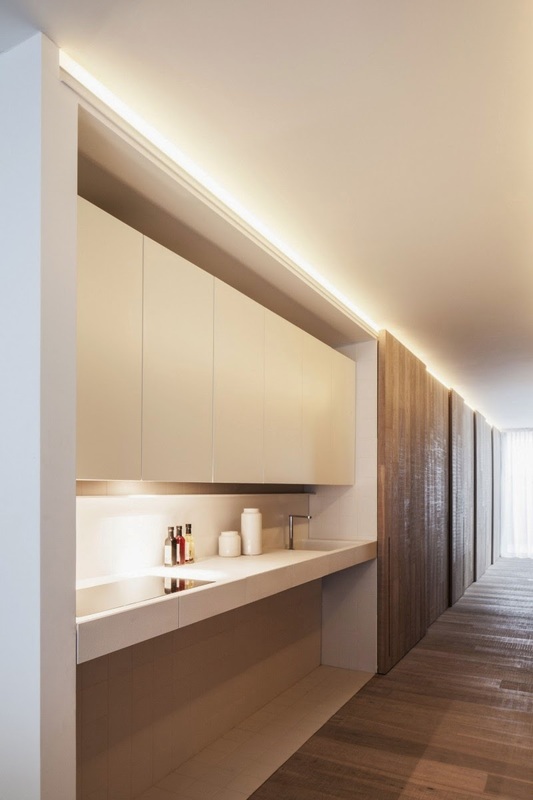 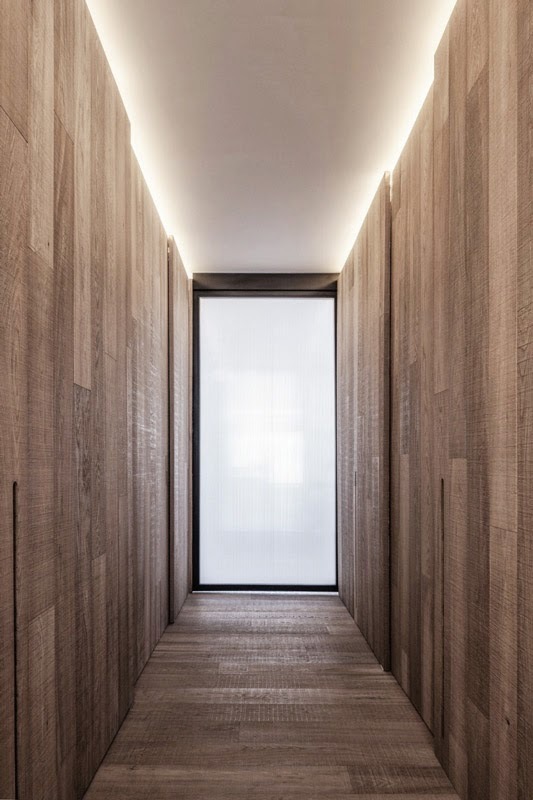 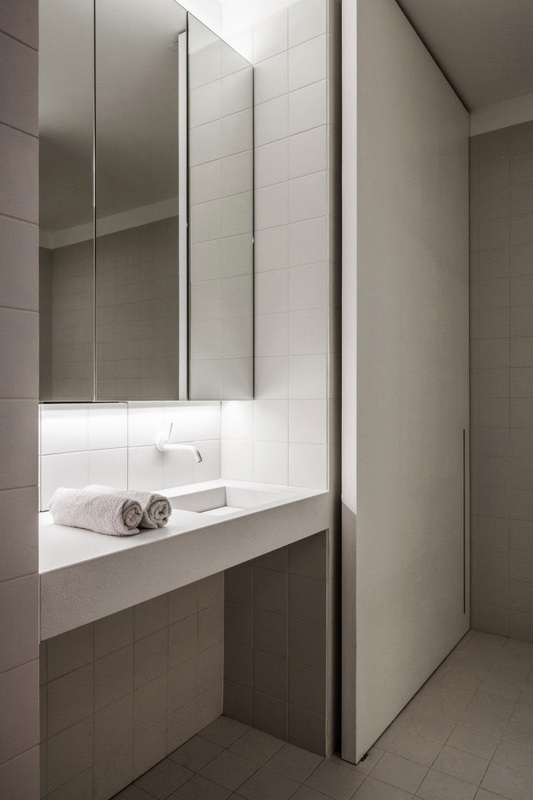 By clustering the wet areas and storage space into two compact volumes we were able to bring natural light into the long and narrow, canyon-like layout.